The “Kalamon” variety is known for its fleshy and firm fruit which is processed in the traditional natural way. The Messinian Region is a huge endless grove which begins at the latticed shore line and ends at the foot hills of the Taigeto mountain. 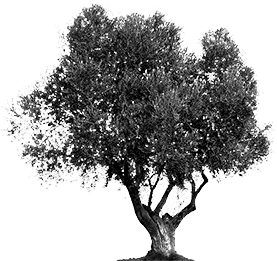 The ideal climate, the 3000 hours of sunshine annually, the small individual groves which allow each producer to devote time and attention to each olive tree individually and to pick the crop when it has sufficiently matured, all contribute to the olives excellence. Available in packs doypack 200ml, doypack vacuum, professional and 220lt barrel. 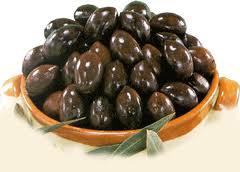 Greek Baked Olives. The plum olives are a very special and tasteful product. The olives handpicked, salted and baked and through this process we create the unique plum olives. Eighty percent of Greek olive oil production is of top quality extra virgin, in acidity up to 0.8%. 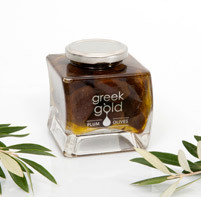 Greece is ranked in first place among the countries that produce extra virgin olive oil and table olive oils. The unique taste brings out the freshness of salads in the best possible way. Derived from crops on which the producer does not use chemicals, pesticides or fertilizers. The richness of color and taste is pretty hard to beat. Approved Certification Organizations regularly check crops, and a packaging units and certify the final product. Used in almost all cuisines worldwide. It gives a pleasant flavor to salads, grilled vegetables, cheeses, and it is the perfect "dip". The aromatic elements (lemon, orange, bitter orange, etc.) are milled and pressed together with the olives.